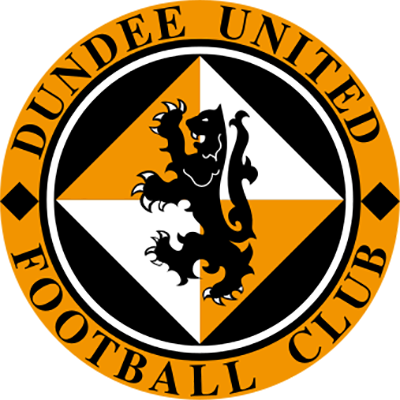 United moved to within three points of the top of the Championship with a hard fought 1-0 victory over Dunfermline Athletic at Tannadice. Following the departure of Allan Johnston, Dunfermline had former United striker Stevie Crawford in charge of the team for the first time. Interestingly, former United manager Jackie McNamara had also been appointed by Dunfermline in a consultancy role in the previous week. Crawford had been Robbie Neilson’s assistant manager at both Hearts and MK Dons, adding a little extra spice to proceedings. Neilson made only one change to the starting line up from the team which had drawn with Partick Thistle the previous week, with Fraser Aird being dropped from the matchday squad altogether. He was replaced by Cammy Smith, who had joined United in midweek from St Mirren, marking his second spell with the club. After a long injury absence, former Dunfermline striker Nicky Clark was able to take his place among the United substitutes. With new club owner Mark Ogren watching from the stands, United kicked off shooting down the Tannadice hill towards their own fans. Despite the presence of the new owner, it was Dunfermline who started the game the stronger team. The first chance for them came after three minutes when an error from Rachid Bouhenna let Aidan Keena away down the left but when he successfully got the cross in Frederic Frans got the danger away. Two minutes later a James Craigen cross into the box caused chaos in the United defence but Ben Siegrist was able to claim the ball after Kallum Higginbotham sent the ball back in from the left. United broke after that chance and a through ball from Sam Stanton released Callum Booth on the left. He crossed into the box but Paul McMullan could only head the ball far wide of the post. After nine minutes, Aidan Keena had an effort on goal, which Ben Siegrist did well to keep out. Three minutes later, United wasted a great chance to open the scoring when Cammy Smith played a corner kick to the far post. 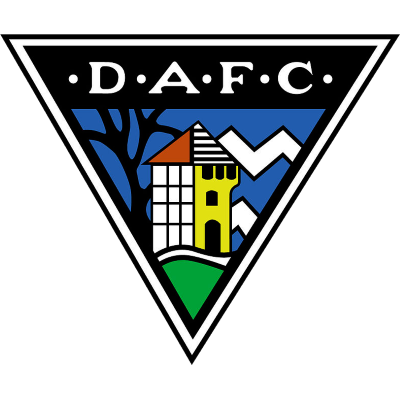 Pavol Safranko headed the ball across the face of goal and Stewart Murdoch headed the ball straight at Dunfermline goalkeeper Lee Robinson despite having the entire goal to aim at. When Aidan Keena was flattened by Frederic Frans, Dunfermline were awarded a 19th minute free kick 30 yards out. Higginbotham lofted the ball to the far side of the six yard box where Danny Devine headed back across goal only for Siegrist to hold onto the ball. The game settled into something of a stalemate, with the two sides largely cancelling each other out. Too many passes were going astray, and as such chances were at a premium. United did have a couple of chances around the half hour mark, however, Firstly, Cammy Smith hit a shot on the turn that Lee Robinson dived to his right to save, and then Paul McMullan fired in a shot from 20 yards out which went just wide. On the 32nd minute the visitors had two excellent chances to take the lead. Firstly, Myles Hippolyte had looked to have been played through on goal, but a poor touch from the Dunfermline player saw the chance evaporate. Almost immediately, Hippolyte picked up the ball on the right and sent over a cross that James Vincent should have buried, however the on-loan Dundee player sent his shot wide off the outside of the post. It was the best chance Dunfermline would have all day, and a miss they would come to rue. The final ten minutes of the half passed without incident, and it was goalless in an even if rather uneventful first half. For the second consecutive game, Aidan Nesbitt came on at half time, this time to replace Matty Smith. 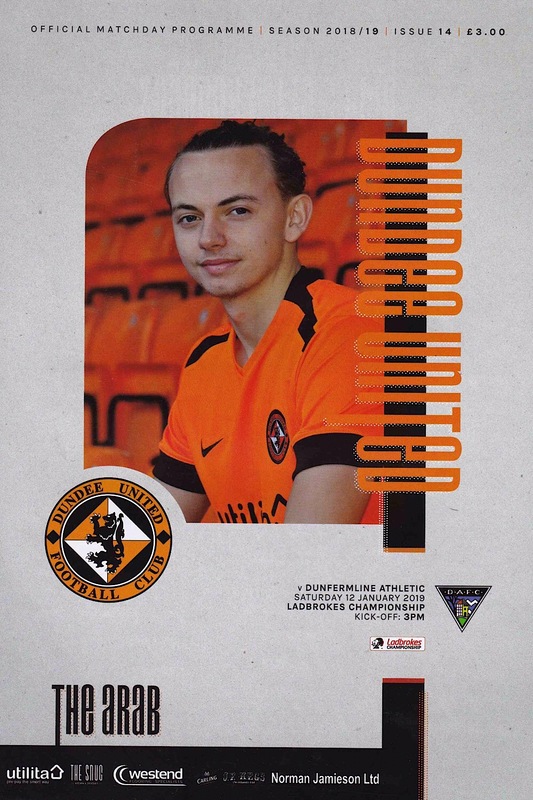 The first chance of the half came United’s way three minutes into the half after Pavol Safranko charged down a Dunfermline clearance in midfield. He worked his way into the box and drilled the ball towards goal, forcing Lee Robinson to dive to his right to make the save. Nicky Clark was then brought on to replace Paul McMullan. Clark was making his first appearance since November after being sidelined with an ankle injury. The second half proved to be every bit as scrappy as the first, with neither side able to string more than a couple of passes together. In 62 minutes a strong Myles Hippolyte run beat off the challenge of three defenders before his shot was blocked by the retreating Frederic Frans. At the midpoint of the half Hippolyte won a corner on the left, but United cleared and then blocked James Craigen’s attempted return. With twenty minutes left there was a scare for the home side when Stewart Murdoch hit a woefully short passback. With Kallum Higginbotham racing through to try and intercept, Ben Siegrist was able to race from his area to hoof the ball clear. Nicky Clark missed a good chance after a long throw from fellow substitute Paul Watson was not dealt with by the home defence, but the striker’s blushes at missing such a good chance were spared by a late offside flag. It looked for all the world that the game would end in a 0-0 draw, but with nine minutes to go a bit of quick thinking from Fraser Fyvie created a goal out of almost nothing. A quickly taken free kick by the United captain, with Dunfermline players still arguing over the decision, saw Aidan Nesbitt sent clear down the left. His initial cross was blocked, but Cammy Smith was able to play the ball back to Nesbitt. He played a first time cross back into the box to meet a near post run by Nicky Clark, and the United striker headed the ball past Lee Robinson. Having been the subject of abuse from the Dunfermline supporters sitting in the Shed, Clark evidently enjoyed scoring against his former club. It was his sixth goal of an injury-ravaged season. Dunfermline responded with a long throw from Myles Hippolyte that Frans headed away and substitute Aidan Connolly worked hard to deliver crosses but to no avail. Lee Robinson was on the edge of the centre circle to send an added time free kick forward but the home side were able to quell the threat. United managed to see the game out comfortably for a vital win despite seven minutes of stoppage time being added on. With the news that both Ross County and Ayr United had both been defeated for the second consecutive week, all of a sudden United found themselves level on points with Ayr United and a mere three points behind Ross County in the race for the one automatic promotion place. With United facing a trip to Ayr in their next league game, the race for the Championship title was certainly hotting up. It was not a game which will live long in the memory, but the significance of the win might have been massive.